A day cream for all skin types, made with precious spice and flower, which brings an optimal hydration and preserves the youthfulness of the skin. Share the post "PETALE DE LUMIERE"
PETALE DE LUMIERE is a day skincare for all skin types, with the most precious active ingredients, such as Turmeric and Blue lotus flower for their illuminating and toning properties. Results: the complexion is radiant and luminous. Ideal for mature skin and dehydrated skin. 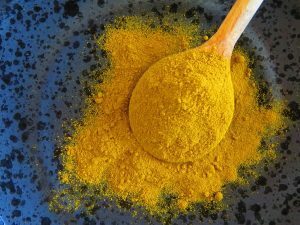 In Indian medicine, turmeric is considered as a panacea. It is known for its capacity to protect and purify the body and the soul. It restores life and brings serenity and confidence in its destiny. As for the lotus, coming from the Water element, it symbolizes the purity of the soul and the spirit. 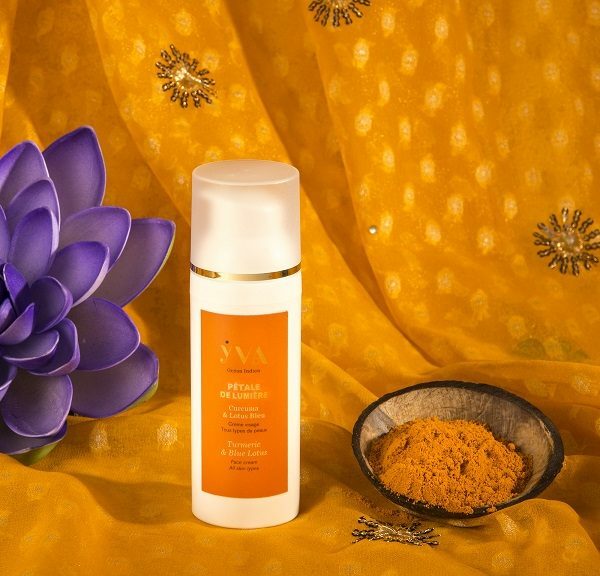 Miraculous spice that purifies and gives radiance to the complexion. It also protects the skin from oxidative stress. Exceptional flower with anti-oxidant and firming properties. Associated active complex with Kombu, Aloe vera and Shea butter. Apply a dab of cream PETALE DE LUMIERE in the morning to face and neck by circular movements. It can also be used as a nourishing cream in the evening for dehydrated and mature skin. Called “miracle spice” by Indians, Turmeric is recognized for its great curative virtues. It is an essential natural antibiotic, an excellent analgesic and an exceptional healing spice. It is also used as a tinctorial plant, in the daily alimentation and as a beauty product.